University of West Florida President Martha Saunders presented the 2018 State of the University address today, reflecting on the University’s biggest accomplishments over the last year and highlighting her vision for the future. Saunders opened the address by noting some of the top “adventures,” “treasures” and “heroes” of the 2017-18 academic year, beginning with the University’s achievement of earning the third-highest score in the Board of Governors performance-based funding model, resulting in the highest number of points the University has ever received. The football team advanced to the 2017 Division II National Championship game in the program’s second season, making it the most successful program startup in Division II history. More history was made when UWF announced the new Medical Laboratory Technician to Medical Laboratory Scientist, or MLT to MLS, program, offered through Complete Florida. The online program, which began this fall, is the first of its kind in the state of Florida. 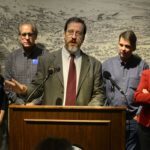 Additionally, the Center for Cybersecurity made headlines when it announced partnerships with the National Security Agency, the Florida Agency for State Technology, the Florida Department of Law Enforcement and state and local election officials. Each of these partnerships better position the University as a leader in cybersecurity education and Florida as a leader in cybersecurity resiliency and workforce development. 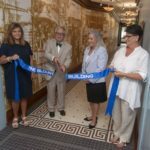 The University Park Center grand opening was one of the highlights of the University’s inaugural Founders Week, a weeklong celebration of the institution’s founding. The $7 million, 32,700-square-foot facility provides additional space for UWF Intercollegiate Athletics, UWF Usha Kundu, MD College of Health and the Florida State University College of Medicine. Saunders also highlighted the closing of the University’s historic 50th Anniversary Capital Campaign, which raised $64.7 million by almost 20,000 donors, including 55 planned gifts and nearly $18 million in scholarships. Saunders expressed that UWF isn’t stopping there. In the upcoming year, the University plans to take on more adventures. 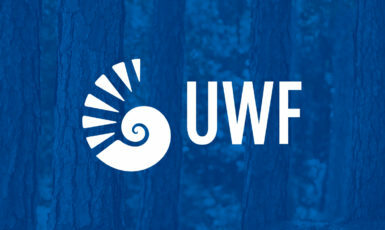 Saunders mentioned many future endeavors including the goal of launching UWF’s first Ph.D. program in intelligent systems and robotics, in collaboration with the Institute for Human and Machine Cognition; installing a landmark work of art that embodies science, technology, engineering, art and mathematics; enhancing the student experience; and developing a new campus master plan. 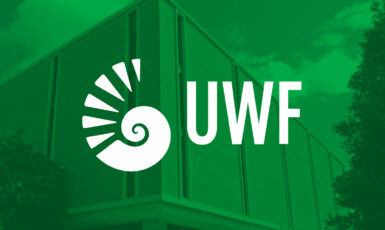 To learn more about UWF, visit uwf.edu.